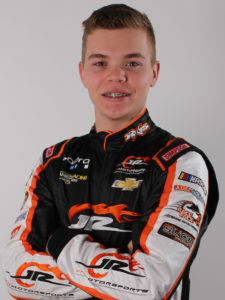 Adam Lemke has been named as a driver for JR Motorsports’ championship-winning Late Model program for 2019. The 16-year-old native of Hollister, Calif. will drive the team’s second Chevrolet for the season and will compete alongside 2017 CARS Late Model Stock Car Series champion Josh Berry. Lemke has won championships and set records in Quarter Midgets and Mini Cup competition, starting his career at the tender age of eight. In 2017, he graduated to the USAC Western Midget Series and finished second in overall points and clinched the Rookie of the Year award.